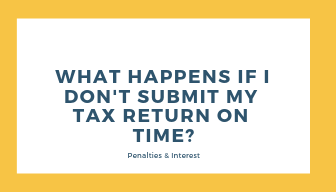 What happens if I haven’t submitted my tax return on time? If you haven’t submitted a tax return on time then you will be automatically charged £100 on 1st Feb – regardless of whether you owe any tax or not. HMRC can then issue a ‘determination’, this is an estimated bill that will stand until you send in your actual figures. But you really don’t want to wait too long as there are some hefty penalties. If you are 3 months late then you will be charged a ‘daily penalty’ of £10 per day, up to a maximum of £900. In exceptional circumstances you can be given a penalty of up to 100% of the tax due. If you don’t pay your tax bill on time then there are penalties for that too..